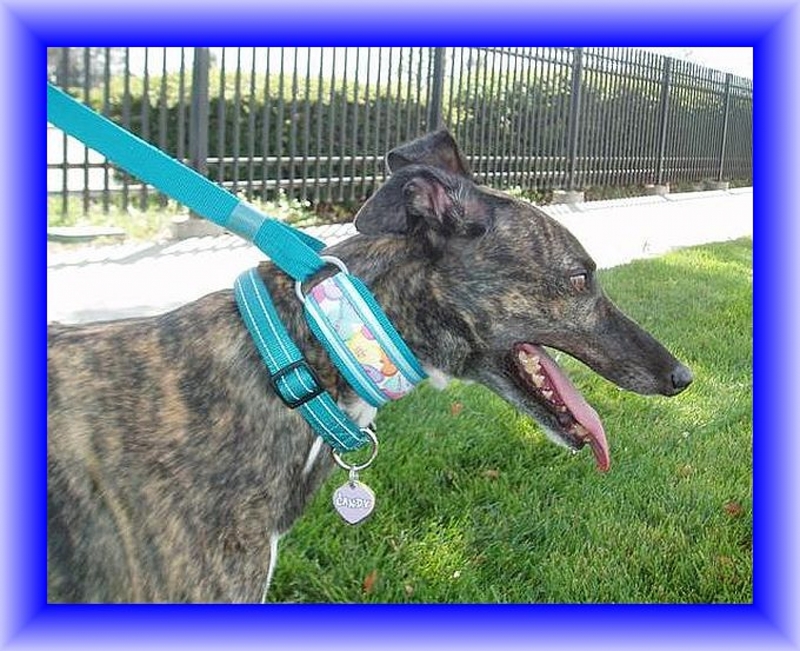 This martingale walking lead, collar and leash combination is made for a greyhound or similar size large dog. It is decorated with a cotton print fabric and satin ribbon trims. It is fully lined with the same cotton fabric over soft polyester fleece padding. The webbing base is 800lb test polypropylene. The D-rings are heavier-weight, zinc or nickel-plated, welded steel. The collar part is 2 inches wide and about 13 inches from ring tip to ring tip. This will fit a greyhound or similar size dog with a neck size about 14 inches to 15 or 16 inches. 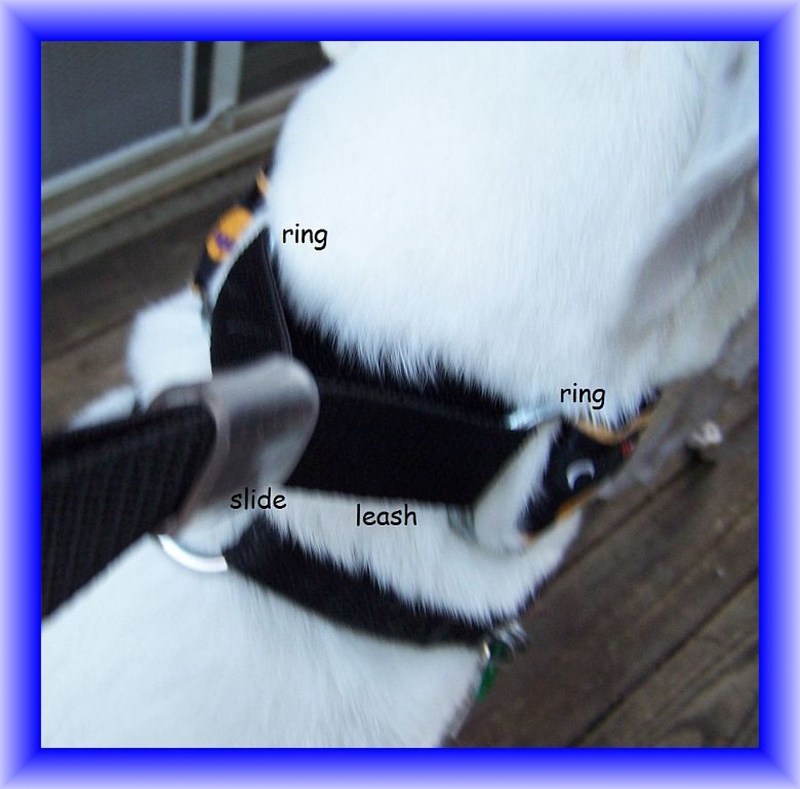 The leash part is made of 1 inch webbing about 6 ft long. This lead is designed and constructed as a single unit; the leash is not detachable.